I read this article and found it very interesting, thought it might be something for you. 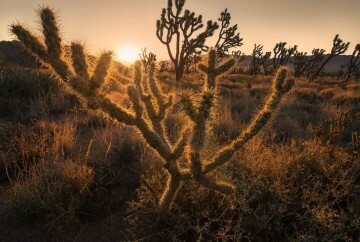 The article is called Best things to do in Death Valley, California USA and is located at https://capturetheatlas.com/visit-death-valley/. Visiting Death Valley in California USA was one of the most anticipated adventures of our trip. Located between Nevada and California, Death Valley National Park is the second largest in the United States. We spent half a day there on our 10-day West Coast road trip since we were only passing through Death Valley on our way from Las Vegas to Yosemite. 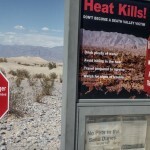 Temperatures in Death Valley are extreme throughout the year. Therefore, it is important to pay attention to our list of tips for visiting Death Valley if you don’t want to end up with a bad experience. 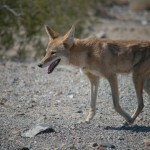 We will provide all the information you need for a safe and enjoyable trip through Death Valley National Park. 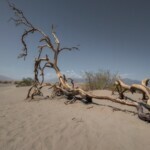 Death Valley National Park is one of the four national parks located in the Mojave Desert, which we covered in this article. Death Valley is located in southeastern California, about 186 miles north of Los Angeles and about 149 miles west of Las Vegas. 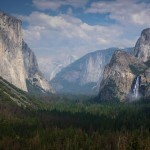 The valley extends over 124 miles from north to south and approximately 12 miles from east to west. We can find some of the highest temperatures of America here in Death Valley, especially in an area known as Badwater basin located at 279 feet below sea level. It is famous for being the lowest point in the United States. The extremely high temperatures have claimed hundreds of lives throughout history, mainly during the eighteenth, nineteenth, and twentieth centuries. The majority of deaths in Death Valley were immigrants trying to reach the coast of California for better living conditions and pay, unknowingly entering into the area. Thirsty and dying of heat, they couldn’t leave Death Valley alive, thus the name of this driest desert of the United States. Other visitors who risked their lives coming to Death Valley in the past were the borax and gold miners, although the gold rush in Death Valley was short. 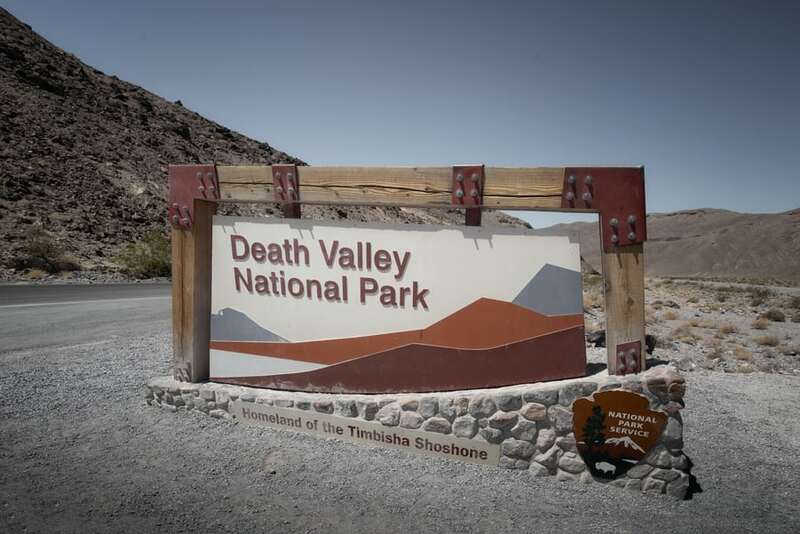 Today, it is much easier to visit Death Valley National Park. You won’t run into any risks in Death Valley as long as you stay near the main attractions and follow a good guide to Death Valley. This way, it would be easy to find help if your car breaks down or run out of gas. In short, although there are certain risks, these are minimal and visiting Death Valley is completely worth it. There are only a few tours to Death Valley from Las Vegas. However, these usually run quickly, and it is necessary to book them in advance. If you are not going to spend many days in Las Vegas and you do not have a car, taking a guided day trip to Death Valley might be a good option. You can book your 1-day tour to Death Valley here. In our case, we visited Death Valley as part of our road trip. Driving across Highway 190 was at the top of our bucket list and visiting Death Valley by car resulted in an unforgettable experience. You will be surrounded by landscapes taken from another planet as you approach the Death Valley National Park entrance – and believe me, the best is yet to come! Other adventurers risk crossing the Death Valley by bicycle, although this option is only for you if you are trained for extreme cycling. There are also Death Valley Bike Tours if you are interested in visiting in this alternative way. In this section, you will find the different directions to get to Death Valley by car. There are two entrances to Death Valley National Park if we take Highway 190 (the road that crosses the National Park from east to west). We will enter through Panamint Springs to the west and Death Valley Junction to the east. It only takes two hours to get to Death Valley from Las Vegas (the distance between Death Valley and Las Vegas is 110 miles). From here, we will access the park through the east entrance. 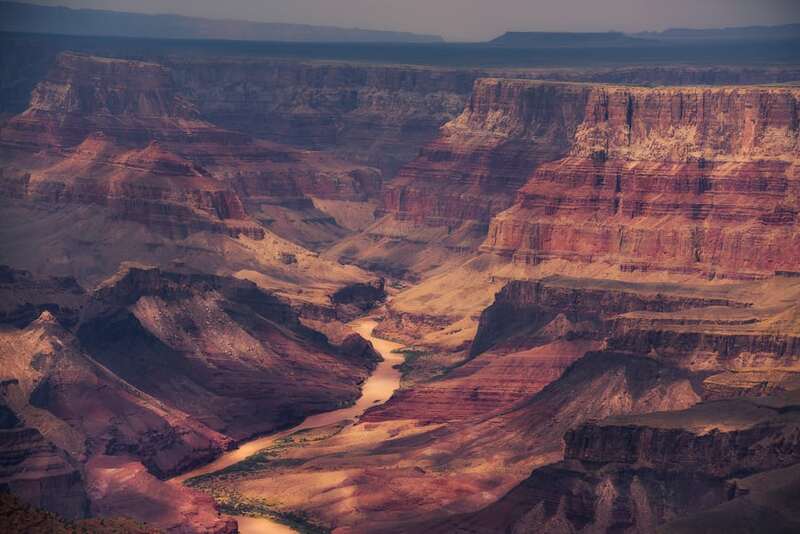 From Grand Canyon to Death Valley, we will have to cross through Las Vegas, which increase the travel time to 4 hours. The best way to get to Death Valley from San Francisco is to take the Interstate 5 to Bakersfield, then go north toward the western entrance of Death Valley National Park. 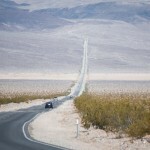 In total, it takes 7 and a half hours to travel the distance between Death Valley and San Francisco (460 miles). As this is quite a long trip, I recommend stopping halfway and go to Death Valley from Bakersfield the next day. 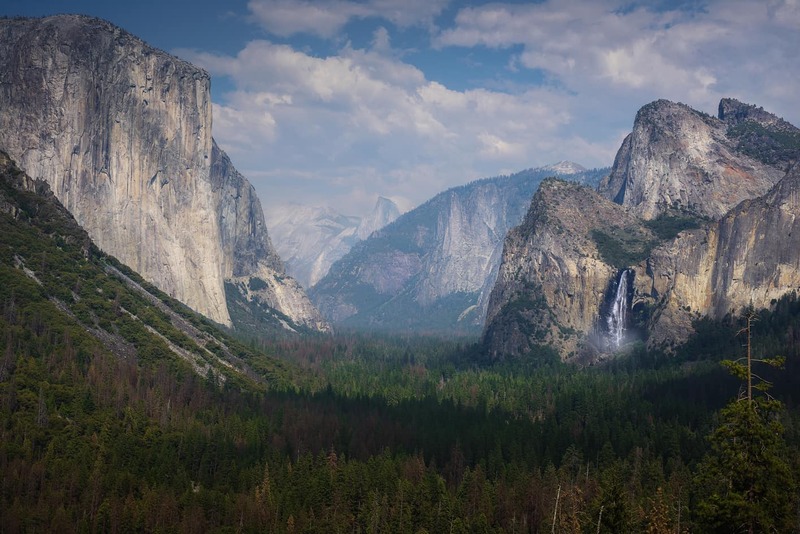 Another good option for those who come from San Francisco is to go to Death Valley from Yosemite, so you can visit another incredible National Park on the same trip. It is a 4.5 hours drive between Death Valley and Yosemite, and you will enter through the west entrance of Panamint Springs. 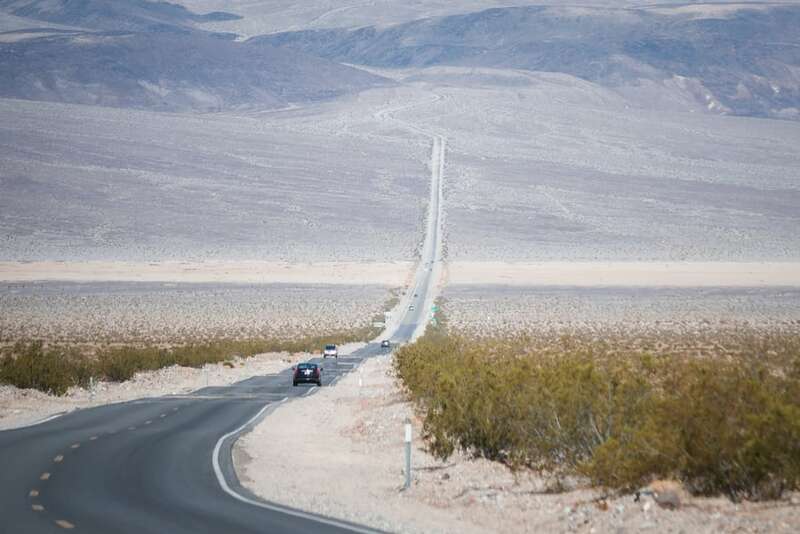 It takes 4 hours to get to Death Valley from Los Angeles through the west entrance. There is a distance of 200 miles between Death Valley and Los Angeles. Death Valley and Sequoia National Park are only 3 hours away from each other. We will also access through the west entrance. 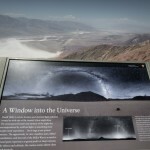 In this section, you will learn about the top things to see in Death Valley. Most of these attractions can be visited on the same day, and they are the essence of Death Valley. However, if we want to hike, explore further, or learn more about the flora and fauna of Death Valley, I would recommend spending at least two full days. 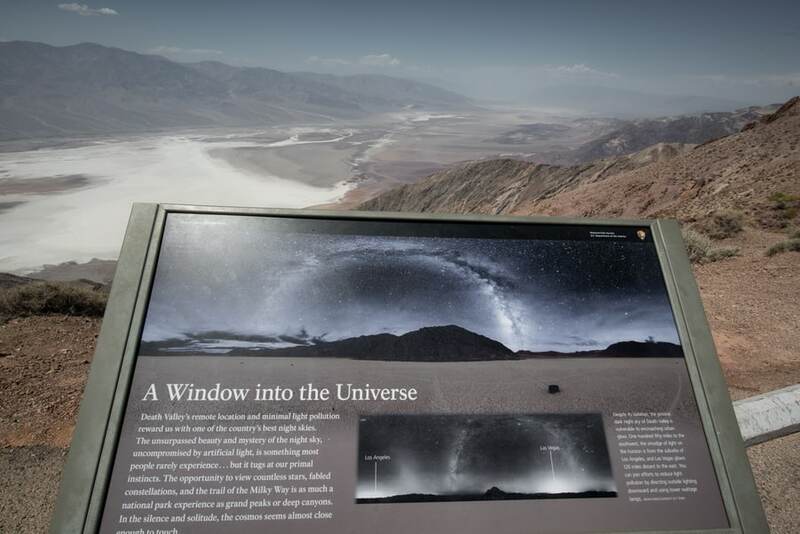 In any case, the first thing to do is make a stop the Death Valley Visitor Center to pay the entrance fee, grab a map, and get the most updated information on weather conditions. 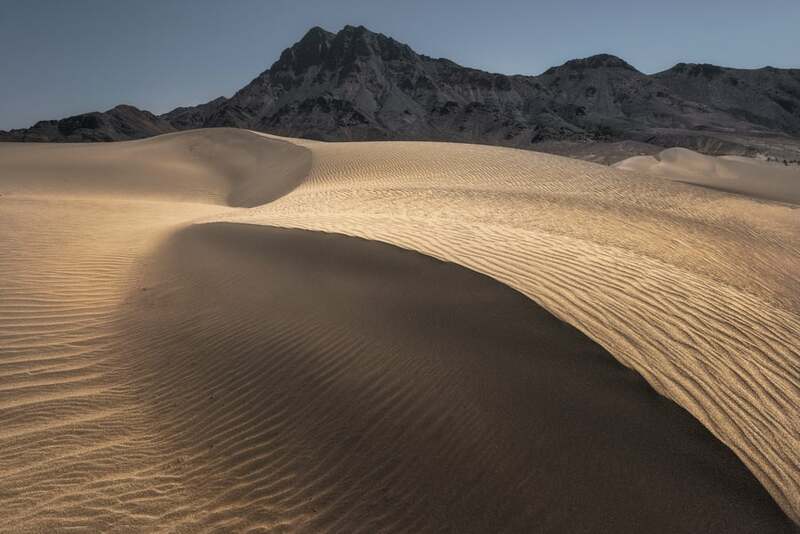 Unlike what many people assume, less than 1% of Death Valley is covered with dunes. In addition to sand and wind, you also need the right geological foundation that accumulates sand to form dunes, which does not happen here. 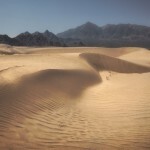 Mesquite Flat, the most popular dunes in Death Valley, is very accessible from the main road. This area of dunes rises to a maximum of 328 feet, covering a large area. 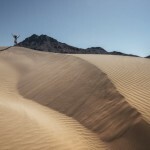 They are also the only dunes in Death Valley where Sandboarding is allowed. With that said, be careful if you decide to enter the dunes. Always have a point of reference as it is easy to get lost and you could die of dehydration if you cannot find your way back to the car. Undoubtedly, Mesquite Flat is the main attraction that you have to see in Death Valley National Park. Another thing you have to do in Death Valley is to visit Badwater Basin. This 985 square feet salt flat is one of the largest in the world. 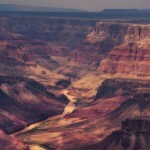 It is also famous as the lowest point in the United States at 282 feet below sea level. Getting to Badwater Basin takes about 20 minutes from the main road, and we were not able to visit as we were just spending half a day in Death Valley. 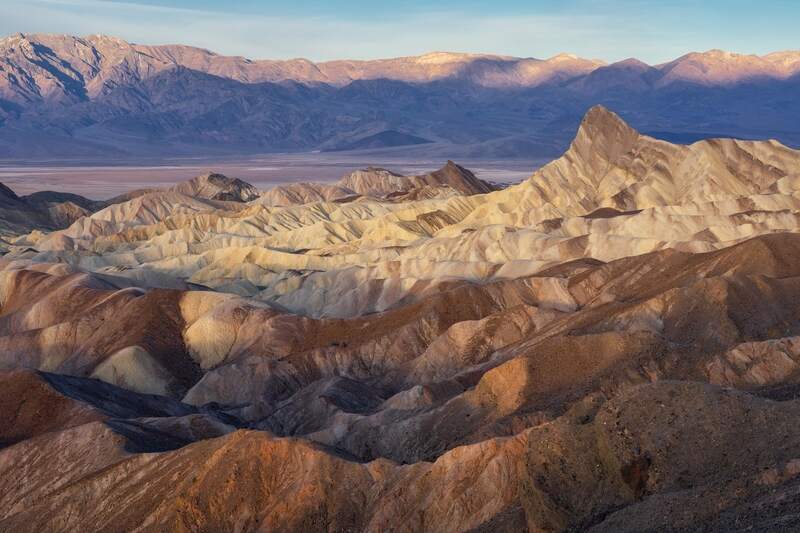 Zabriskie Point is one of the essential viewpoints to see in Death Valley. Located right by the road, it is an easy stopover to put in your one-day Death Valley travel itinerary. 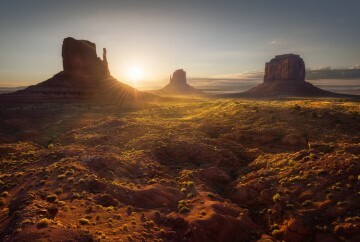 Here, you will see a panoramic view of sedimentary brown and yellow mountains with beautiful tones. 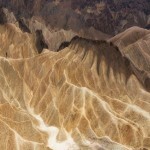 Near Zabriskie Point, we can drive to Twenty Mule Team Canyon, an incredible geological formation. The one-way road that takes you there (going from northwest to southeast) is a dirt road, but an easy one to drive. On the other hand, if you want to hike, I recommend Golden Canyon, which starts on the road that leads to Badwater and takes you into the same rugged mountains we saw from Zabriskie Point. To get to Dante’s View, we have to cross a 13-mile road with no exit. It will take more than half an hour, but trust me, it is completely worth it. 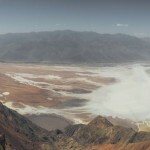 From this high viewpoint, we get a bird’s eye view of Death Valley and see the pure white color of Badwater Basin, which we could not see from up close. For me, enjoying what can be seen from Dante’s View is one of the essential things to do in Death Valley. 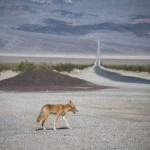 If you visit Badwater Basin, you should know that there are other exciting things to see on this road. One of the most important landmarks is Artist’s Palette, an area where the oxidized minerals of the mountain glow in reddish, pink, yellow, green, and gray tones. To get here, we will have to take a 20-minute semicircular route. Artist road is a one-way drive which moves from southeast to northwest, and the views along the whole journey are fascinating. The entrance to the sandy road that leads to Devil’s Golf Course is on Badwater Road between the entry and exit of the Artist circular road. If you come from the south to visit the Artist’s Palette, you could unwittingly overlook this location. The salt pan of Devils Golf Course stands out for its shape, where salt crystals form large holes in the ground (thus its name), an incredible phenomenon that you have to see in Death Valley. 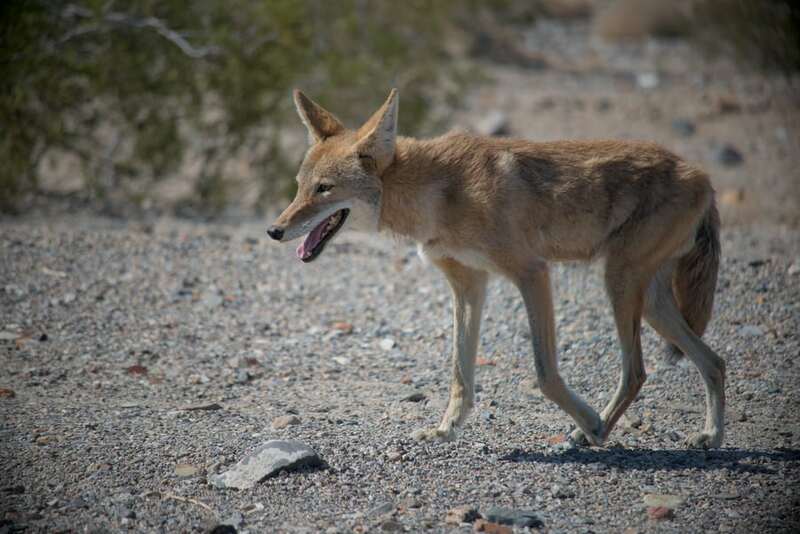 This short interpretive walk on the edge of Salt Creek is another exciting to do for your Death Valley day trip, since it is a short distance from Mesquite Flat. In spite of high salt content in the stream where you can even see visible salt crystals around the shore, here lives one of the most curious species of Death Valley, the Salt Creek Pupfish. Furnace Creek was an Indian village, and today it is one of the few places within Death Valley National Park where you can find lodging, restaurants, and the Furnace Creek Visitor Center. There is also a gas station, although very expensive – it is better to enter the park with a full tank. Nearby is The Old Harmony Borax Works, the remains of Death Valley’s main borax mine that was in operation from 1882 to 1889. One of the most famous mysteries in Death Valley is the sailing stones. These sliding rocks in Death Valley are located in the so-called Racetrack Playa, two and a half hours from Highway 190. In a 1-day route through Death Valley, we would not have enough time to discover the mystery of these rocks. In any case, you can see this video where the secret is unveiled. 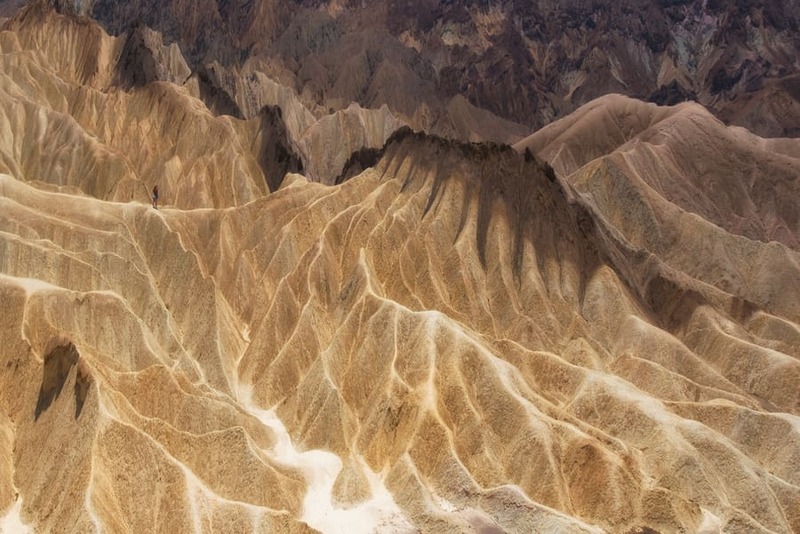 Fun fact: the mystery of the moving rocks in Death Valley wasn’t solved until 2013. 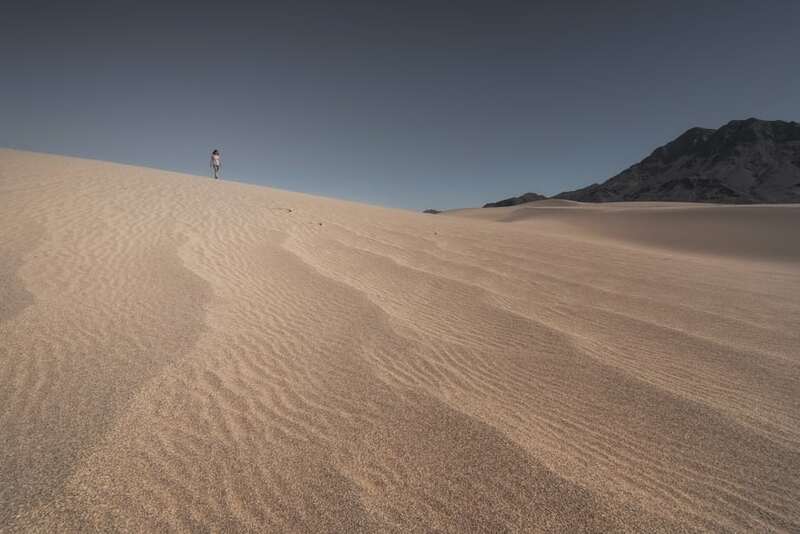 The Mesquite Flat dunes are impressive dunes, but they are so accessible that it will be difficult to find a spot where there aren’t foot tracks in the sand. If you want to take good pictures of the dunes, I suggest visiting any of the following instead and consider spending more than one day in Death Valley. Eureka Dunes are the highest dunes in California, at 656 feet tall. It is difficult to reach the top as the sand sink under your feet and hills are very steep, but if you manage to do it, you will be rewarded with incredible views and the so-called “singing sand” phenomenon, a sound created when sand falls off a steep slope. Also, since these dunes are wholly isolated from the rest, endemic species of wildlife and plants not found in any other dunes in the world live there. The Panamint Dunes are visible in the distance from Highway 190. If you want to get close, you will have to drive 5 miles and then walk another 3 miles. They are not very accessible, and I would not recommend a visit unless you are going to take a 3-day itinerary in Death Valley. You have to walk half a mile from the road that leads to Saratoga to access the Ibex Dunes. In the east of the dunes, we can see an old talc mine at the base of Saddle Peak Hills. The Mojave tipped lizard lives in these dunes. 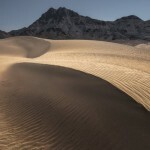 Although not within the area designated as Death Valley National Park, the Dumont Little Dunes had to be mentioned in this Guide to Death Valley. They are right at the south entrance, while accessible, they are not very popular. If you have time and want to take beautiful pictures of dunes without foot tracks and people in the frame, this is your best option. Titus Canyon is a one-way car route through a narrow canyon. It starts near Rhyolite Ghost Town, one of the most famous ghost towns with banks, school, jail, and even a train depot, just outside the National Park. The sandy road that leads to Titus Canyon has a total length of 24 miles and will take approximately 3 hours to cover it. On your way, you will see steep mountains, colorful rock formations, another ghost town called Leadfield, petroglyphs, wildlife, rare plants, and a spectacular canyon that narrows especially in the last section, once inside Death Valley National Park. The last area, which is also the most striking, can also be visited on foot from the opposite direction for those who do not want to take the complete tour. If you visit the Eureka Dunes, it may interest you to go to the Ubehebe crater, at 656 feet deep and 2624 feet in diameter. Parking is on the edge of the crater, and from there, you can see the most interesting sights. However, if we want to explore further and discover other smaller craters such as the Little Hebe, we will have to walk around the rim of the crater. We can also descend to the interior of the crater. This route may seem simple, but it is complicated when returning uphill to the parking. Also, another nearby attraction is the Scotty’s Castle, a mansion of a wealthy family during the gold rush that was later used as a visitor center. Nowadays, it remains closed due to a flood that took place in 2015, and its reopening is expected in 2020. Aguereberry Point is another lookout that offers something different from Dante’s View. However, those who have seen both of them prefer Dante’s since the views are more panoramic and spectacular. In addition, going to Aguereberry Point requires a 4×4 vehicle and special driving skills, as it is not an easy road. In this area, we can also visit the Charcoal Kilns, 10 charcoal kilns located in Wildrose Canyon with a beehive formation, one of the most picturesque in Death Valley. 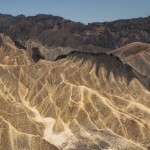 In this section, you will find all the information you need and best tips to visit Death Valley. The entrance fee to Death Valley is $25 for seven days per vehicle. 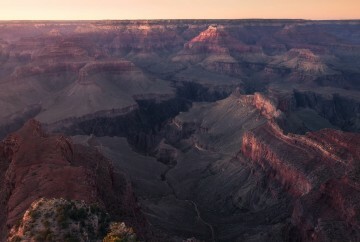 However, if you are also visiting different national parks, I recommend buying an America the Beautiful annual pass which include access to an extensive list of federal sites. Keep in mind that there are no ranger stalls at the entrance of the park to collect your fees. They rely on the goodwill of visitors to pay at the Furnace Creek Visitor Center. You could be fined if you do not pay the fee. Death Valley is open 24 hours a day, 365 days a year. The Death Valley Visitor Center opens from 8 am to 5 pm every day, where you can catch a 20-minute video about the park. During the winter from November to April, we can find other activities such as ranger talks and guided walks. For more information about the planned activities, visit the Death Valley Visitor Center. 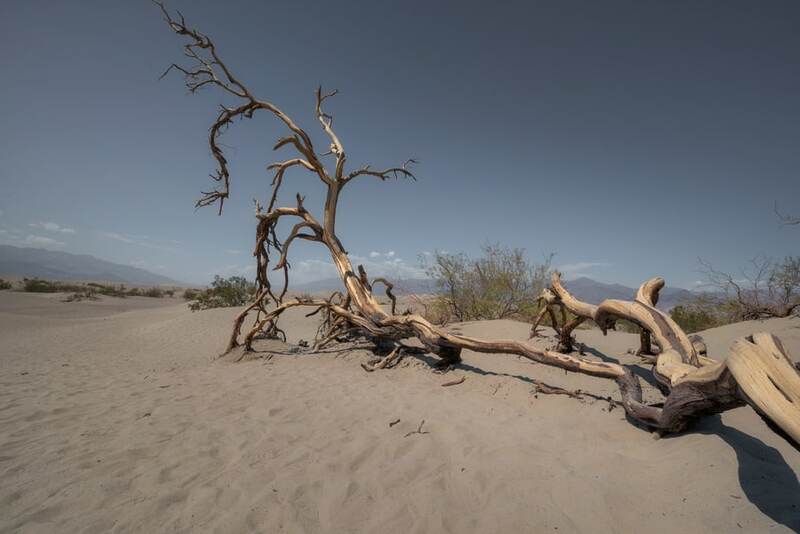 The weather in Death Valley, California is extremely dry and hot throughout the year, especially in the summer where temperatures easily pass 122 ºF. During the winter, humidity levels range from 32% (day time) to 55% (night time), and 10% to 25% during the summer, respectively. Therefore, the best time to visit Death Valley is during the coldest months. If you can, try to stay away from visiting Death Valley in summer: end of May, June, July, August, and early September. However, if you can only visit during these months, do not worry, we visited Death Valley in August, and it was still worth it. If you can’t bare such extreme climates, it is best to visit Death Valley during winter. 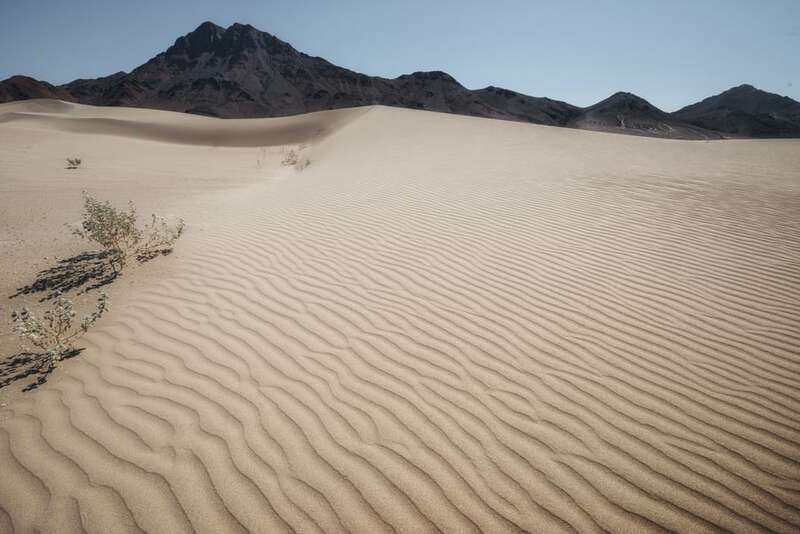 For example, temperatures in Death Valley in December usually range between 64 and 70ºF. 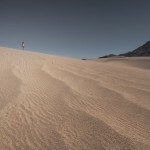 If you are interested in hiking, winter is also the best time to do so in Death Valley. If you want to see this desert’s maximum splendors, then you cannot miss the Death Valley bloom during spring. This phenomenon takes place based on the rainfall during the autumn and winter season. If it has been a very humid winter compared to previous years, a super bloom may occur between March and April, since the seeds remain intact for years until the ideal conditions are met. It is also the best time for photography in Death Valley as you can have the opportunity to capture a desert full of colors. 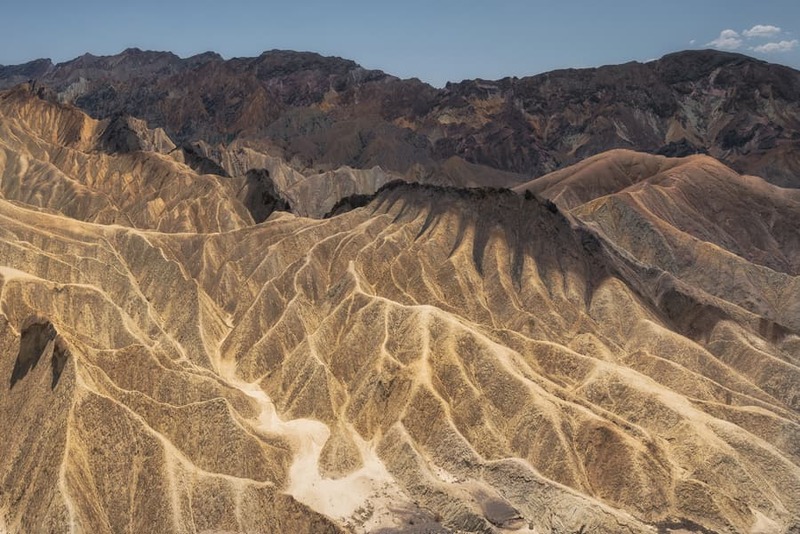 Most people take a 1-day route in Death Valley, stopping only at the popular points by Highway 190 (Zabriskie Point, Mesquite flat, Dante’s View…), thus missing everything a bit further from the road. 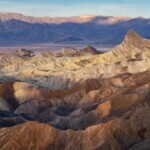 If you do not have much time, a good 1-day Death Valley itinerary may be the best option. If possible, include the iconic Badwater Basin in addition to the main points that we have discussed. If you like night photography, then you can’t miss spending a night in Death Valley to enjoy one of the darkest skies in the world. 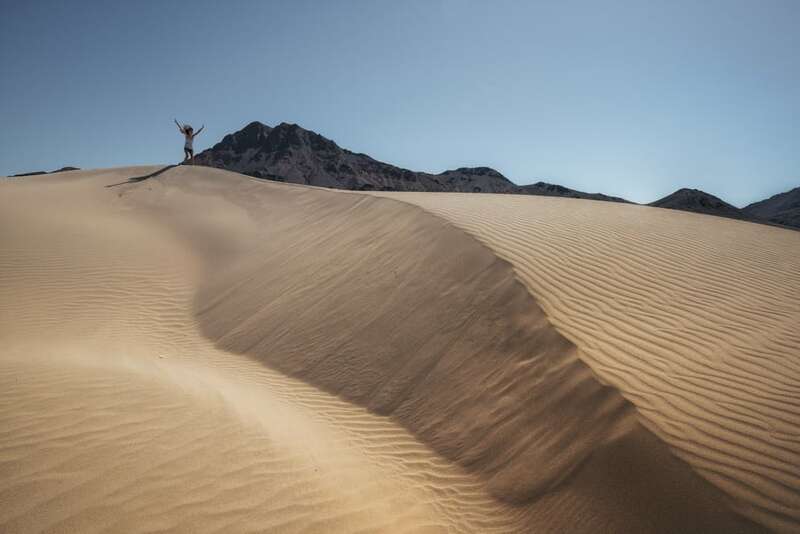 This will turn into a 2-day Death Valley itinerary, where you can discover some more remote dunes or enjoy a hiking trail in one of the driest places on earth. 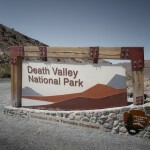 In this section, we will speak about some curiosities of Death Valley. 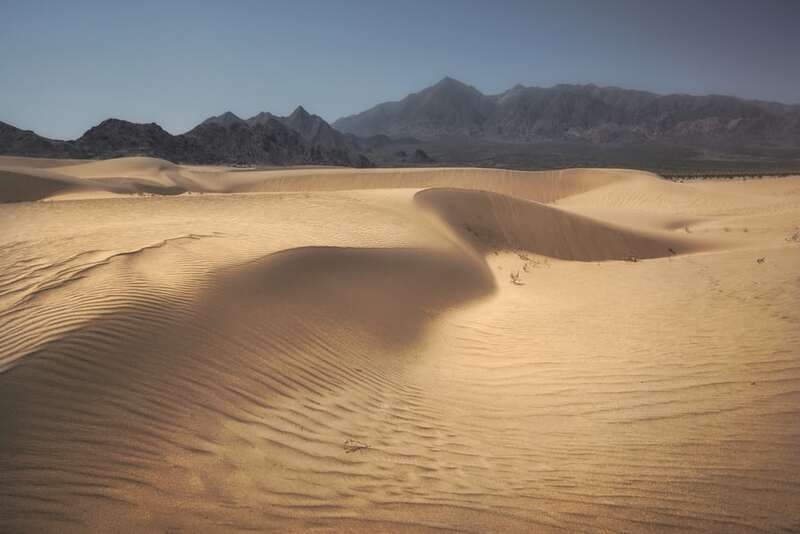 The highest temperature recorded in Death Valley was 134.1 ° F, in Furnace Creek in 1913. It was the highest temperature recorded on earth, to be precise. The lowest point of Death Valley is located 282 feet below sea level, and here is where the maximum temperatures were recorded. Keep in mind that Death Valley is not drier than the Sahara Desert. In fact, the Atacama Desert, in northern Chile, is the driest desert in the world, even more than Death Valley and the Sahara. 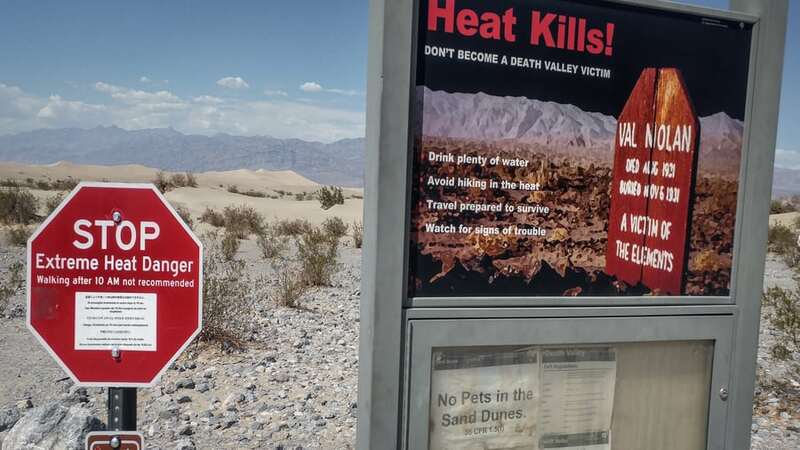 Currently, deaths in Death Valley are not common, and if you pay attention to the primary safety precautions, you will not have any problems. 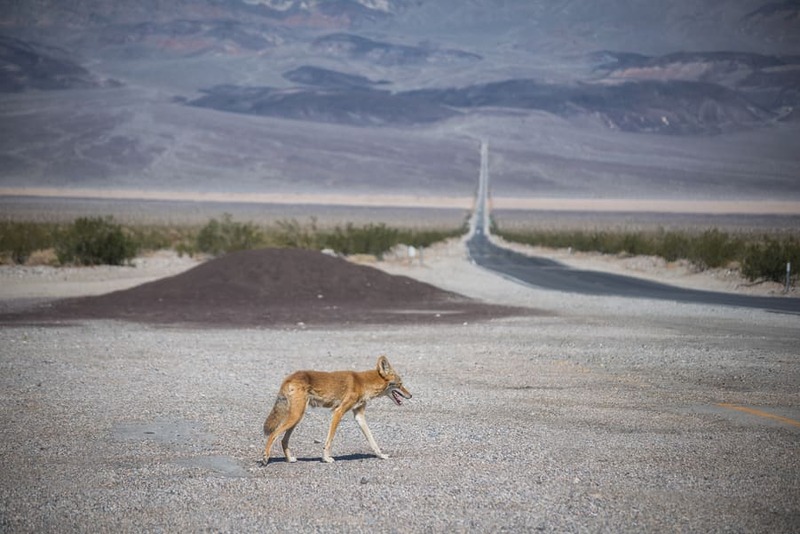 All roads are marked and used every day by hundreds of people, so dying in Death Valley today is very rare. 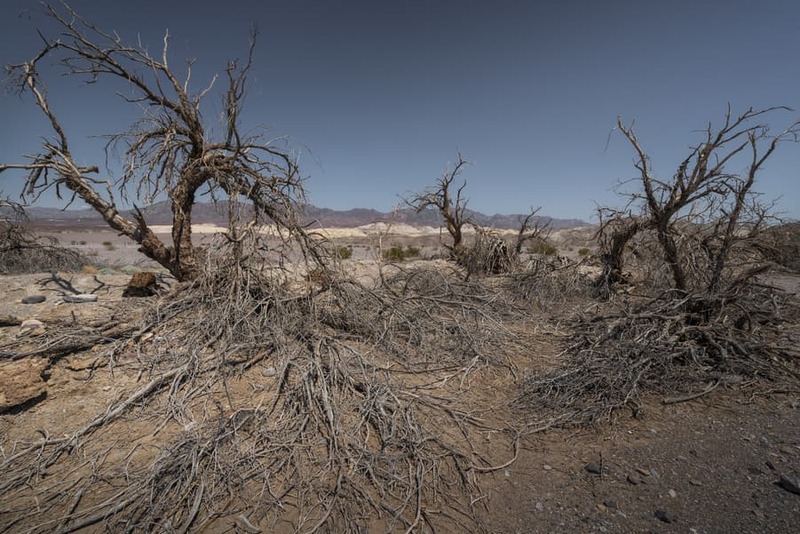 Throughout history, many people had died in Death Valley, especially when this desert was unexplored territory and the mining industry forced men to work in deplorable conditions. 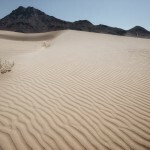 In addition to these cases, there are other stranger deaths in Death Valley which increase the mystery that hides this desert. There have been a number of bodies of missing people found miles from their homes, some with their organ removals. If you are curious, I recommend reading this article for a deeper read. There are some lodging inside Death Valley National Park – hotels, resorts, and campsites. Another option is to find a hotel near Death Valley. Within the area designated as Death Valley National Park, there are four hotels and nine campsites. Panamint Springs Resort: this resort offers both tourist resorts and lodging in tents. Stovepipe Wells Village: This complex offers both conventional accommodation and RVs options. The Oasis at Death Valley: Two facilities within this tourist village: The Inn at Death Valley, a historic inn offering first class accommodation, and The Ranch at Death Valley, a motel that is currently under renovation. There are 9 campsites in Death Valley, marked in red on the map at the end of this article. The main campground in Death Valley is Furnace Creek Campground, which opens throughout the year and is the only one that can be booked in advance. The rest of the campsites have different dates of operation, and the majority close during the summer. The price also varies from one campsite to another, including some free campgrounds in Death Valley. For more information on camping in the Death Valley, you can visit this website. If you are struggling to find accommodation inside Death Valley National Park, try to search around the areas close to one of the entrances. These are Beatty, Pahrump, Lone Pine, Death Valley Junction and Shoshone. Here are our best pictures of Death Valley. This spectacular place is a paradise for landscape photography enthusiasts, so there is no doubt that we will be back soon. 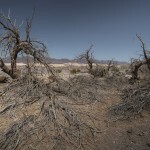 Death Blossoming - Death Valley. United States. Arid scale - Death Valley. United States. In our case, we could not spend a night in Death Valley because we didn’t have enough time. If you can stay for at least one night or longer, try to make the most of your sunrise and sunset to get the best images of Death Valley. To finish this post, we prepared a Death Valley Map below, where we marked the main points of interest to see in Death Valley National Park. Ready? You have everything you need to start your trip!